Godric tells the story of Godric of Finchale, with some sections coming in chronological order, starting from his childhood, and others coming at the end of his life, as Reginald is recording Godric’s story for posterity. • It was suggested reading for Hutchmoot. I didn’t finish before Hutchmoot started, but I was reading it while I was there. Amy: Have you previously read anything by Frederick Buechner or did you have any familiarity with Godric of Finchale? Hannah: This is my first Buechner and my first encounter with Godric of Finchale. It won’t be my last, though! I felt at a disadvantage because I didn’t know the history well. Teresa: Godric was the second Buechner novel that I’ve read. I read Brenden several years ago, but I don’t remember much about it. I’ve also read some of Buechner’s essays, but again, it was a long time ago. This was my first exposure to Godric of Finchale’s story as well. Heather: I haven’t read any Buechner and didn’t know anything about Godric prior to this reading. 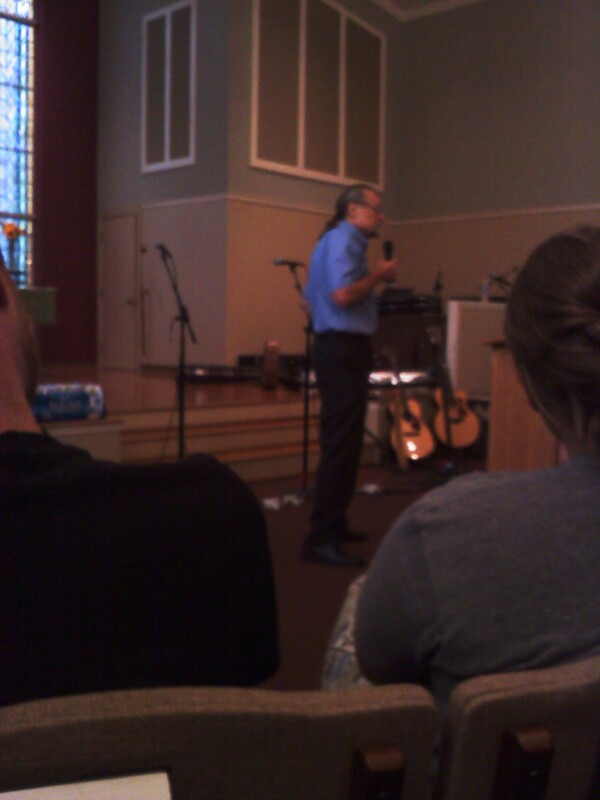 Pete: I’ve read quite a few of Buechner’s books but Godric was my first and remains my favorite. Carrie: Godric was my first experience with Frederick Buechner, although I’ve wanted to read something by him ever since I saw him listed in an “authors of faith” list — I don’t remember where. I’d never heard of Godric of Finchale before reading this. Bryan: In answer to the first part of the question, I had read nonfiction works by Buechner in college which I enjoyed immensely and so was very interested in reading some of his fiction work. As for the second part, I had no familiarity with Godric of Finchale until I read Buechner’s historical note at the end. Thomas: No. I guess that was a simple question to answer. I do plan on rereading Godric and I plan on adding another Buechner book to my reading list in the future. Amy: I’d previously read a few of Buechner’s nonfiction books … essays and memoirs, both of which I loved. Godric was a different sort of experience. 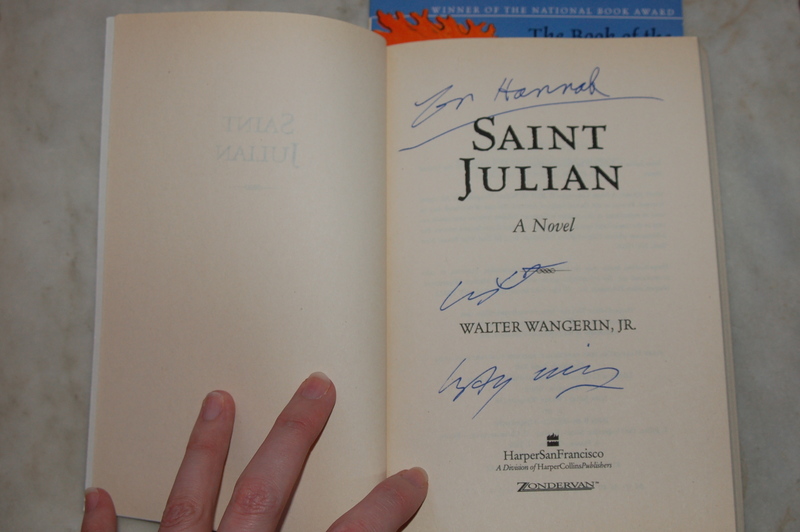 Saint Julian by Walter Wangerin Jr.
Saint Julian is the story of a fictional saint from what I take is the Middle Ages, although it’s never specified. It tells Julian’s life story, based on an old (more modern-day) priest’s research. Julian’s story starts off easy enough — he’s born to a good family, with a pretty high station in life. He learns all things eagerly, but he’s most interested in, and most naturally skilled in, hunting. Life gets more complicated, though, as he grows up. The story (see hunting, above) is quite bloody, at least in places. This I didn’t love, but without it, this book would not be this book. The writing is beautiful. Simple, but still thrilling. The prologue and epilogue are stepped back from Julian’s story; here we see the priest who’s been drawn to Julian, who feels Julian’s story is his story. And in a way, Julian’s story is our story, too. It’s a story of the struggle, the meaning of the ordinary. It reveals hope, the fruit of one’s everyday walk. I think I liked this book a bit better than Wangerin’s first novel, The Book of the Dun Cow, but I still remember that one fondly. They’re quite different. 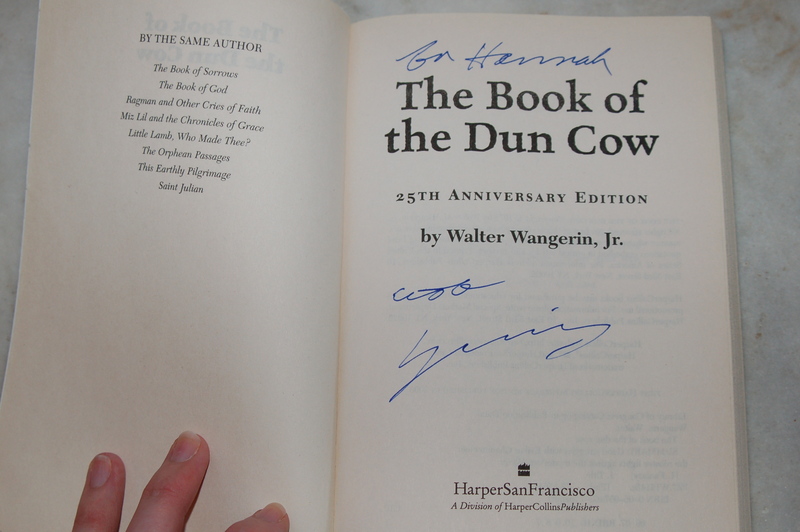 Walt Wangerin Jr. has written many books, including The Book of Sorrows and The Book of the Dun Cow. The narrator boards a bus in a grey, nondescript neighborhood and arrives at the edge of Heaven. What follows is a take on what the afterlife could look like. I had never been terribly interested in reading this book, because I thought it was nonfiction. Then I saw it referenced by a friend on Facebook a few months ago, which piqued my interest. And when I saw it listed as suggested reading for Hutchmoot, it was decided. From the preface, I knew I was going to love this book. It didn’t *quite* live up to my expectations set in that moment, but it was still great. After reading it, I can now understand why it sometimes gets shelved with the theology books rather than in fiction. The fictional story is more than a frame for Lewis’s What Is Heaven discussion, particularly in that it doesn’t break down and is never abandoned, but in some ways it’s not much more than a frame for that theological meat. This is a pretty fun book. It took much longer to read than its slight 160-page frame would suggest — it’s dense, not spun sugar — but I can’t hold that against it. It’s a book that made me think. I don’t think The Great Divorce will knock The Screwtape Letters and The Space Trilogy out of the top spots as my most-loved works by Lewis, but I’m glad I read it. 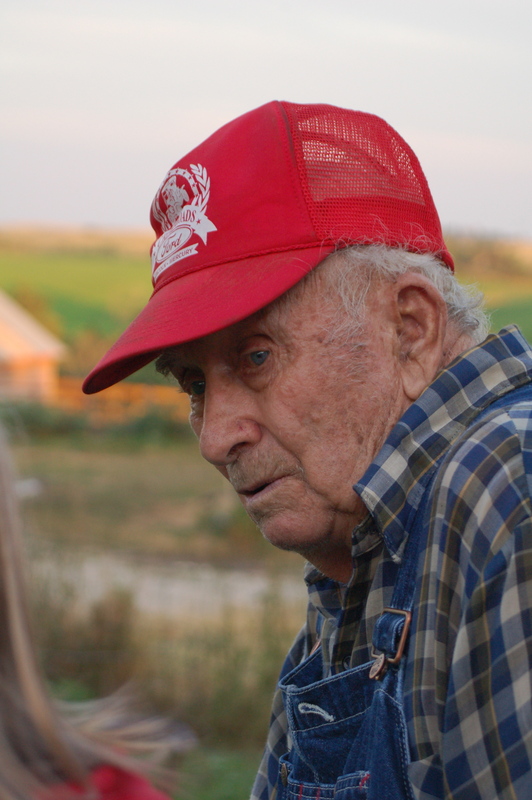 If you’re interested in Heaven or a fan of Lewis, this is a must-read. Outside of those quite narrow parameters, I’m sure, are many others who would enjoy this book. Surely I don’t need to tell you about C.S. Lewis, right?